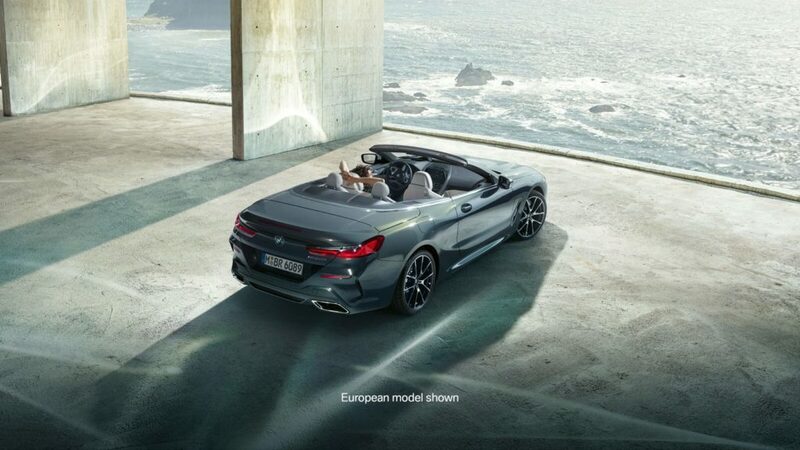 The 8 Series Convertible’s most attractive feature is its compact soft top. When closed, it creates a striking notchback silhouette – and it retracts in 15 seconds, even while driving at speeds up to 30 mph. There’s no mistaking the aggressive note of a 523 horsepower V-8 revving up. M Performance tuning wrings incredible power from this incredible engine. Available BMW Individual enhancements include the finest leathers, exclusive colors, and gorgeous interior trims, all customized to your specifications. The 8 Series moves like an unstoppable force, but tight turns and red signals are a fact of life. Standard fixed-caliper M Sport Brakes bring you to a smooth stop, until you’re ready to accelerate again. As soon as the soft-close automatic doors shut behind you, the atmosphere changes. Command, comfort, and control – all are effortless. In this luxurious seat, the world is yours. Buy and import BMW 8 Series to Kenya from Japan. We are now importing year 2012, 2013, 2014, 2015, 2016, 2017, 2018, and 2019 BMW 8 Series to Kenya. Compare BMW 8 Series prices, specifications and get a six month warranty on all cars imported to Kenya through us. New BMW 8 Series Coupé 2019 revealed – is it a Porsche 911 killer? Is the New 2019 BMW 8 Series as Cool as the Original From the 1990s?